Toolbox 23" is rated 4.0 out of 5 by 6. Rated 5 out of 5 by Cliff89 from Surprised at the quality Brought to replace a broken grinder case. 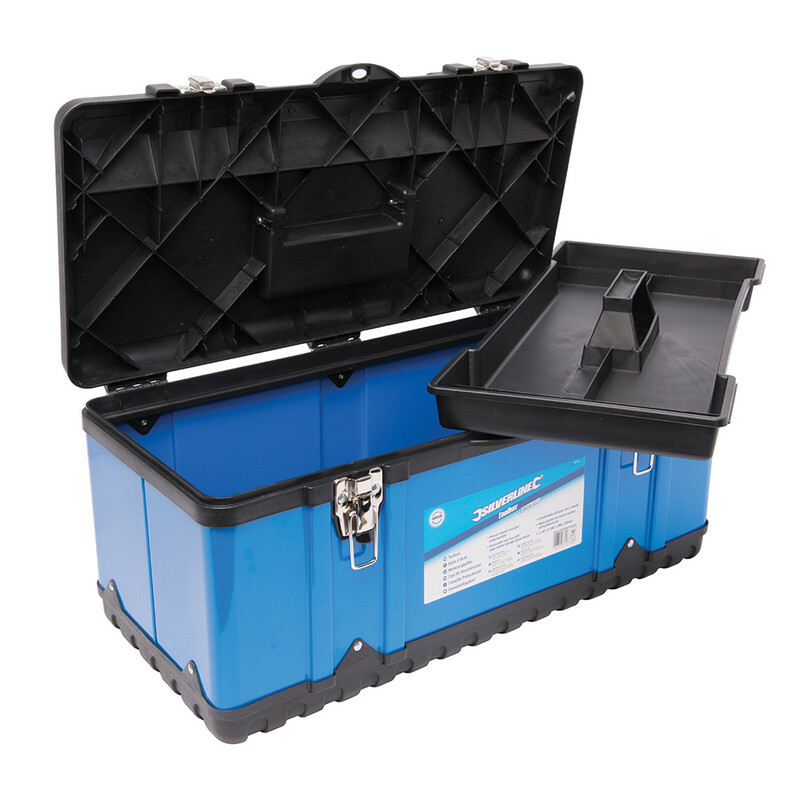 Was pleasently surprised at the quality and sturdiness of the tool box considering the price going to get another to replace my current tool box. Rated 4 out of 5 by Pork from Good value I bought this for my son to keep his small tools in. It looks to be pretty robust and easy to carry about. Rated 5 out of 5 by Shug from It's a tool box. Not much to say. 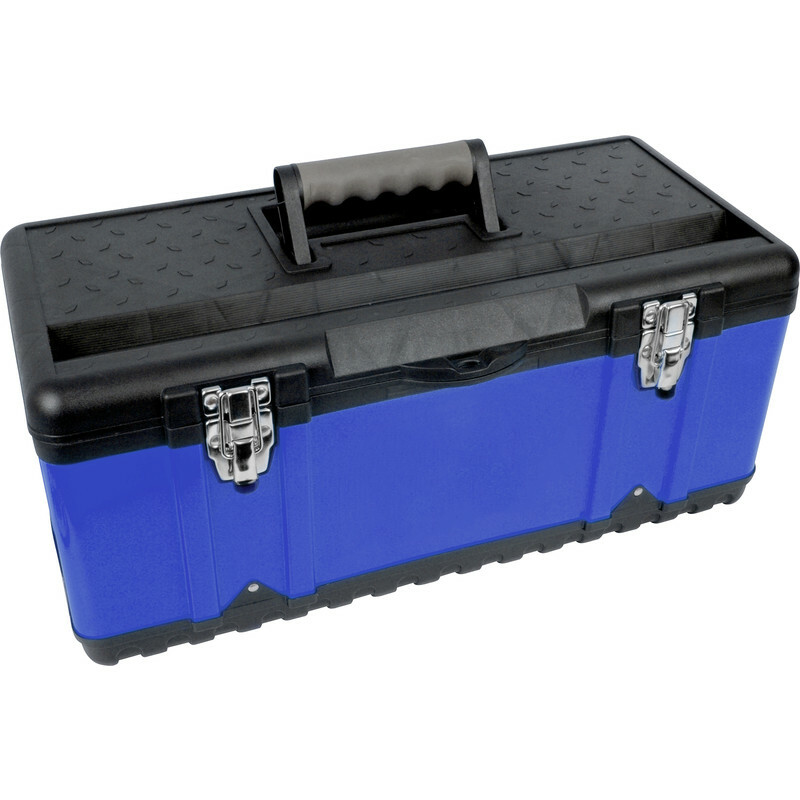 Solid plastic tool box. Holds tools in a box made of plastic. Rated 4 out of 5 by Margijay from Good Adequate for storing tools in garage/shed and bringing into house for DIY jobs. Would not have been substantial enough when I was working in the building trade moving between sites and a van.